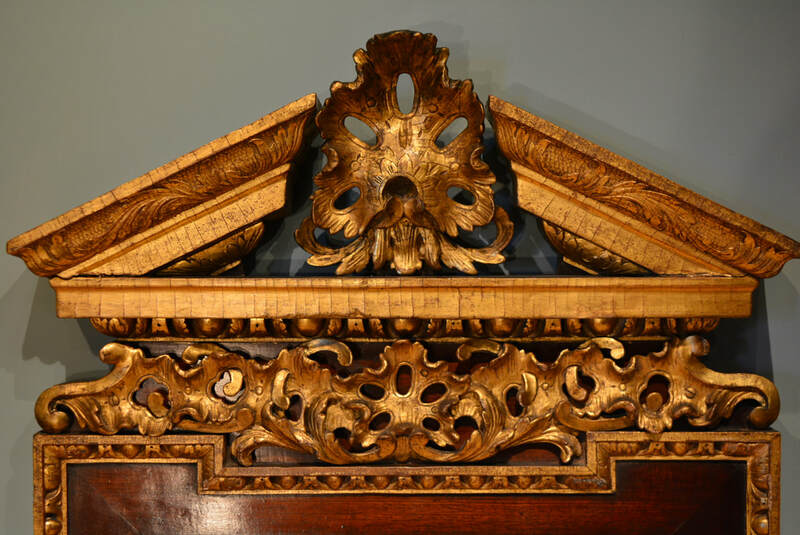 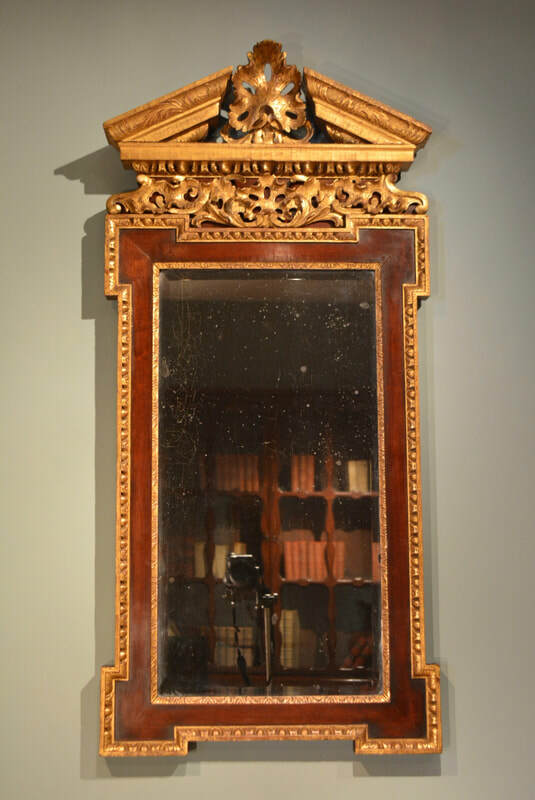 A fine early 18th century mahogany and parcel-gilt mirror of architectural form, the broken pediment above an eared mahogany frame, all with gilt carved detail. 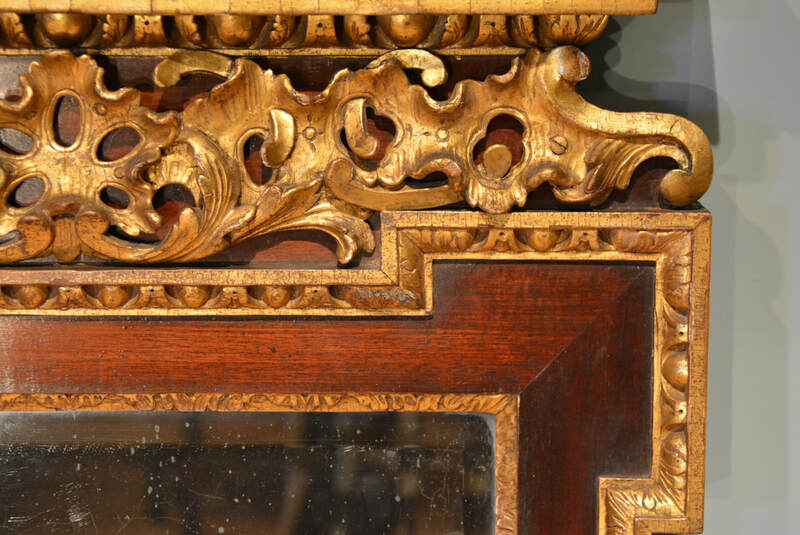 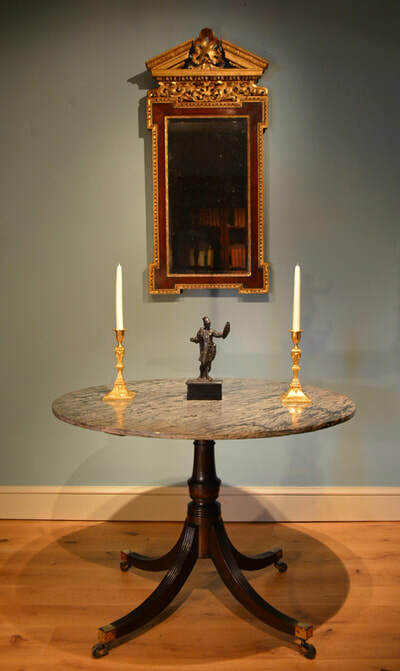 This mirror is in remarkably original condition retaining its original surface to the mahogany, original gilding, and it's original bevelled plate. Height 51" Width 23.5" Depth 4"